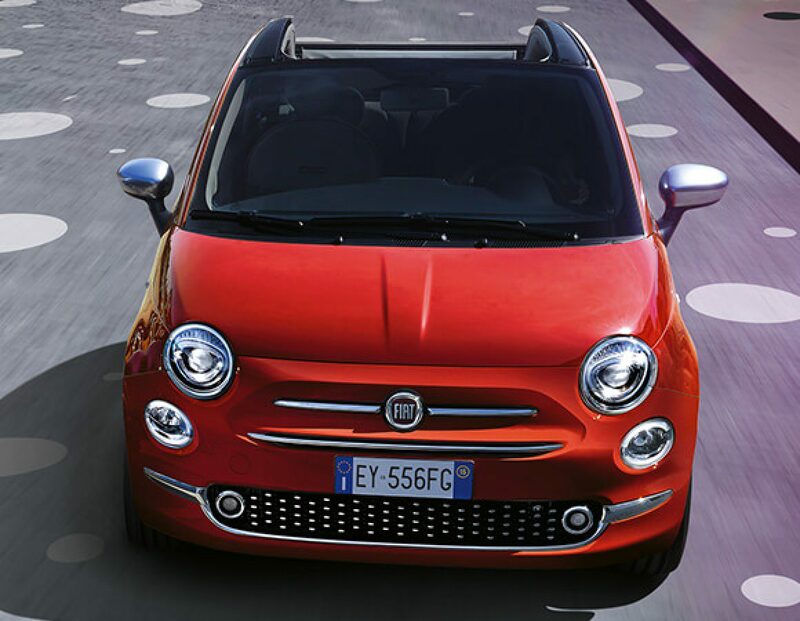 All the stylish flair of the 500 combined with the driving pleasure of a convertible. Fancy a spot of sunbathing? Retract the electric soft top on the 500C and catch some rays. In beige, red or black, the innovative electric soft top of the 500C reveals unmistakably stylish details when opened: the chrome fascia, the glass rear window, the third brake light and the spoiler. It only takes the push of a button to change season. But if the sun isn't out, don't worry: summer is a state of mind. The Fiat 500C is smarter and more cheerful than ever, with redesigned dashboard controls, the addition of a glove compartment and a new centre console. So it's even simpler to have fun while driving. When you're in a cool car you want everyone to know about it. And if it looks just as good inside as outside, why not slide open that soft top and flaunt it to the max? Treat yourself to the new Prince of Wales check or Frau burgundy leather upholstery, or opt for timeless classics such as tobacco brown. Drive with peace of mind: with the 500c you have total control even during emergency manoeuvres or on slippery surfaces, thanks to ESC stability control with ABS and Hill Holder.